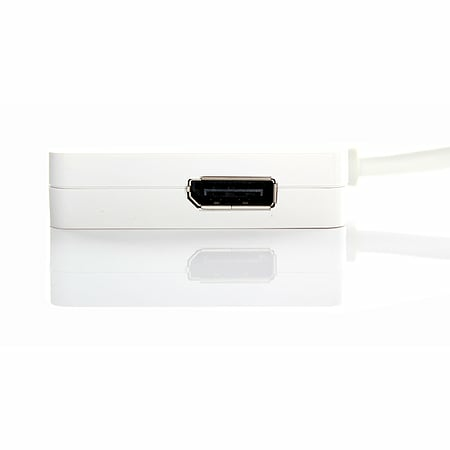 Laptone MINI DP to HDMI/DVI/DP Adapter features a Mini DisplayPort male plug and three female ports: HDMI Type A, DVI (24 + 5 pin), and VGA. • 1. 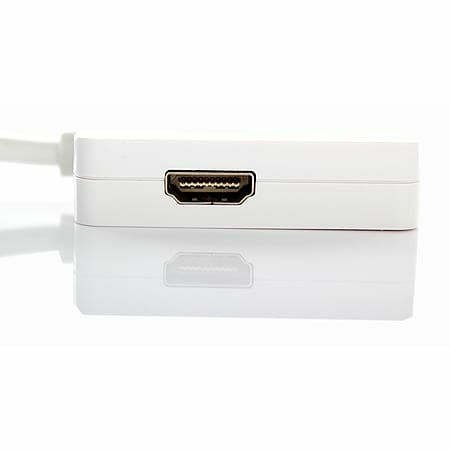 Support Mini Display Port 1.1a Dual-mode input. 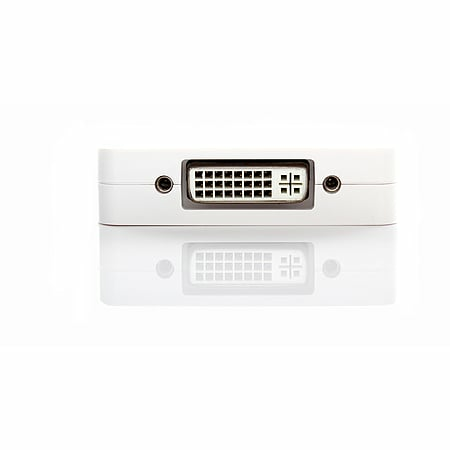 • 3.Support HDMI/DVI/DP output with the max resolution of 1920x1080p@60Hz, 225MHz/2.25Gbps per channel (6.75Gbps all channel), 12bit per channel (36bit all channel) deep color. • 4. Automatic detect the display by plugging and unplugging it. • 5. Powered from Mini Display Port source. 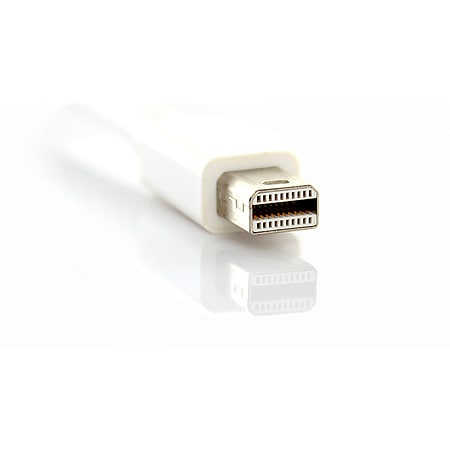 • Mac Book Air, Mac Book Pro, iMac, and Mac mini with thunderbolt ports since 2011 are all supported. 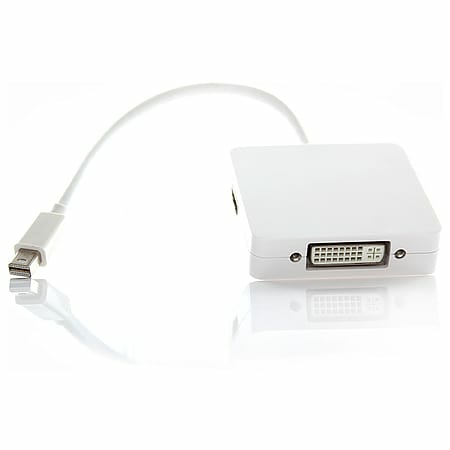 • Mac Book Air, Mac Book Pro, iMac, and Mac mini or PC with mini display port are also supported.